We are pleased to welcome you to our offices. We are pleased to welcome you to our offices. 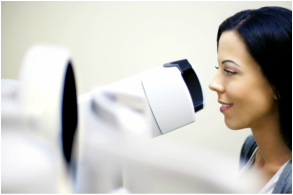 We offer unhurried comprehensive eye exams, complete co-management of LASIK/PRK patients, as well as, treat eye diseases including glaucoma and cataracts. Omni Vision also has a complete eyeglass and contact lens dispensary. We offer exclusive European designer frames, the latest technology in digital spectacle lenses, including progressive lenses. We offer a wide variety of speciality contact lenses. We are conveniently located in Somers NY, and Pound Ridge NY. Please call us in order to schedule an appointment. We would be delighted to have you as a patient! We accept most medical and vision insurances, including VSP, Eyemed, Cigna, Medicare, BCBS, Aetna, United Health Care and many more.